If you are here you must be looking for tips on how to change bad habits, maybe even turning them into good ones! But before you can stop a bad habit, you have to first figure out why you’re doing it. Are you bored, frustrated, anxious, sad or depressed? Are your bad habits triggered by certain events in your lifestyle? For example, do you overeat when you sit down to watch television or bite your nails when you’re nervous or anxious? Only after you’ve identified why your bad habits are taking over your life (or at least making you miserable and keeping you from enjoying as much of life as you could) can you wage an effective war with them. 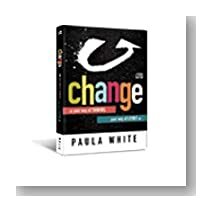 To realize the pinnacle of self-development for this year and beyond, you’ll need to begin working on the bad habits you identify as being negative forces in your life and start to change them. Begin by writing those habits down on paper. Then, you’ll be able to develop the strategies that will help rid them from your life. The strategies will vary from habit to habit. You may need help from a doctor or counselor to quit a cigarette habit, drinking or gambling. And when you discover that certain triggers are actually causing the bad habit, you may be able to quit it cold turkey by avoiding the triggers. Remember that old habits die hard, and you may have to endure a few setbacks before you’re successful. 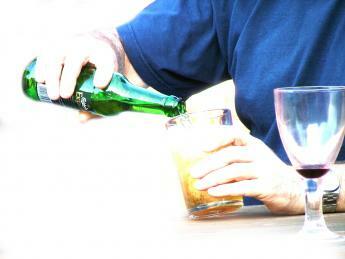 Triggers that help to promote and prolong bad habits are sometimes difficult to identify. If all you had to do was connect a habit with a situation, place or whatever constitutes a trigger for you, quitting a bad habit would be easy. Unfortunately, that’s why we have so many industries that make their money from bad habits – such as smoking, alcoholism, hoarding or gambling. Breaking bad habits just isn’t easy for most people. When you experience jealousy and experience it often, it’s probably something you think about more than act upon. But, it’s still a bad habit - and one that’s most likely affecting relationships and how you interact with others. Once you understand that your subconscious mind is promoting these disastrous thoughts, you can use mind control techniques to oust them – and your subconscious mind will eventually get the message. The longer you’ve had the bad habit the longer it may take to get rid of it. Think of it like a diet plan -- the more weight you’ve put on, the longer it will take to trim down your body. You can also reduce bad habits in stages and gradually train your mind to get rid of the thoughts a little bit at a time until they won’t bother you again. You’ll want to avoid “trigger” situations that promote the bad habit for the first days, weeks or even months until you feel that you can handle it on your own. If you’ve ever begun a diet plan, you’ve probably avoided your favorite calorie-laden restaurant or having lunch with friends. It’s been proven that the more friends you have at a luncheon, the more likely you are to indulge. 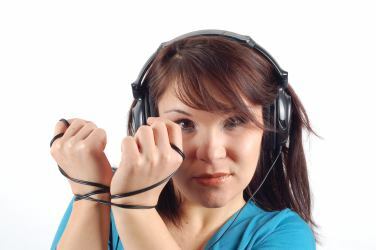 Putting yourself in the way of a trigger situation when you’re trying to get rid of a bad habit is a bad idea. After you’ve built your confidence for awhile and practiced replacing bad thoughts and actions with positive ones, you will have created new behavior patterns that will help you resist temptation. 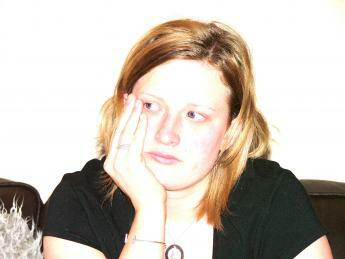 These types of habits are usually caused by stress or boredom. You may grab a cigarette if you smoke or immediately begin to chew on ragged nails or cuticles. Make it a point to catch yourself at the beginning of these bad habits and immediately do something else. Get up and walk around for awhile, get into a project you’ve been avoiding – anything that keeps your hands from turning to the same old bad habit. This habit may get you into some serious financial trouble or you might end up with “stuff” you don’t even need or want. The best way to curb a compulsive shopping habit is to make a list of what you need before you go shopping. This might mean that you carefully plan menus, put everything on the grocery list that you need and then stick to the list! If clothing or shoes is your downfall avoid those department stores that make you spend money on things you don’t need. If you shop online, avoid those sites where you’re apt to go crazy with a credit card. The same applies to clothing, shoes and accessories as with other things that might tempt you – avoid the triggers for awhile until you build a strong reserve of will power. Gossiping is one of the most destructive elements of our society. Even if you don’t engage in it, you’re connected to it if you listen and give it credence. Gossip can crush positive thoughts and leave your energy level severely diminished. 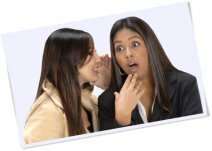 Amazingly, idle gossip can also weaken your immune system. It’s a toxic energy that is stressful on your body and mind and has no place in your life. Do you watch gossip shows on television or read gossip magazines? If so, you’re tuned in to the gossip energy and probably engage in it at work and among family and friends. The only way you can exorcise gossip from your life is by refusing to read or listen to it. Don’t purchase the supermarket gossip “rags” and if someone begins to gossip in person or on the phone, simply walk away or hang up. When your emotions tell you that you’re listening to gossip, choose the high road and refuse to let the negativity into your life. It may take some will power at first, especially if gossip is a big part of your life, but you can kick the habit. What does that say about us if we have a habit of constantly using swear words? Swearing has become so common these days that it may almost seem acceptable. We hear it on television, in movie dialogues and within the workplace. But swearing is a bad habit that can reduce respect that people have for you and definitely shows a lack of character. It’s also immature and gives a bad first impression. If you want to kick a swearing habit, begin by getting it through your head that swearing is a negative influence in your life and serves no positive purpose. Begin to break the habit by leaving out casual swear words from your speaking vocabulary. Your speech may sound stilted at first, but take your time and get used to a more “elegant” way of speaking. You’ll soon appreciate the difference – and so will everyone else. When you’re having an especially stressful time, whether a day or a moment, try to cope with the problem rather than cursing about it. Think of alternative words to use rather than the usual swear words – and above all, be patient with yourself. Bad habits are hard to break, but if you persevere, you can do it. Compulsive hoarding can morph into a serious problem that may take medical intervention to eradicate. You’ve probably seen stories on television that highlight hoarding (a recent program is called, “Buried Alive”) – stacks of clutter and even animals living in filthy conditions can indicate a serious hoarding habit. Some of these people don’t see their hoarding as a problem, but if you know you have a bad habit of collecting and keeping items that serve no purpose and want to do something about it, you can probably teach yourself to break the habit by reading some books on organizing. 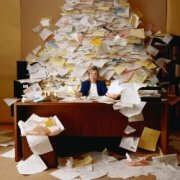 If you think you have a serious compulsive hoarding habit, call a professional organizer that can help put you and your stuff back on track. When bill paying time comes, do you find that you’re always robbing Peter to pay Paul, juggling finances just to get along and perhaps ending up with lots of late fees? 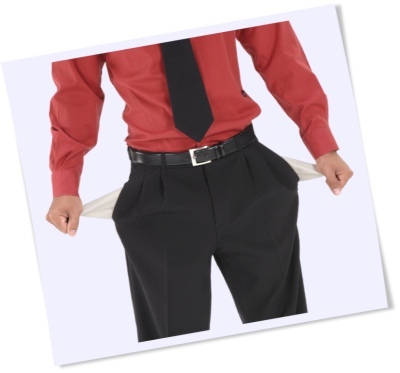 If you answer yes to that question, chances are you’re plagued with bad financial habits. Bad financial habits include overspending, getting yourself into too much debt so that you can’t pay your bills on time – or can’t pay them at all. What if you lost your job or source of income tomorrow – would you have enough money saved to tide you over until things turn around? You may have the knowledge about what you should be doing, but certain habits are keeping you from realizing your dreams. Again, knowledge of exactly what you’re doing to cause financial problems is key to you breaking the habit. Begin to track your spending and cut out those things that are non-essential. Leave the credit cards at home and begin to pay them off by paying more than you’re required – especially on those credit cards that charge the most interest. And, be sure to pay them on time to avoid late fees. 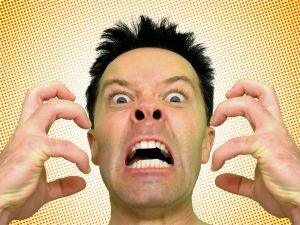 An uncontrolled anger habit can denote depression and intense emotional pain. But anger is a negative emotion that sometimes has a domino effect such as yelling at your family after your boss yelled at you that day. If anger is causing problems in your life, there are several ways to combat it. First, take a deep breath before expressing anger at any time. Don’t speak during the anger moments. Instead, vow that you’re going to think about it first. If you’re seeking a path to self awareness and you’ve developed a bad habit of jealousy, you’ll never find complete happiness or become aware of all that you could accomplish if jealousy wasn’t a part of your life. Jealousy is usually an emotional reaction that comes from your own insecurities. Dealing with it means that you quit reacting to scenarios that cause the behavior. Controlling jealous thoughts and behavior is something like controlling a car racing downhill with no brakes. To avoid the tragedy that’s about to happen, you should have avoided the hill in the first place. In order to avoid the hill, you have to change your core beliefs that make you react jealously to a situation. When you find yourself engaged in a jealous reaction, shift your thoughts so that you can cast the feelings from your mind. If that means immediately doing something else, do it. Quitting smoking is not easy because of the addictive effect of nicotine, a substance found in cigarettes. In fact, smoking has been found as the main causes of many serious illnesses nowadays such as lung cancer, heart diseases, high blood pressure, gum diseases, depression, diabetes, bone diseases, thyroid problems and more. Quitting smoking is the one thing you can do for your body that pays off in both short term and long-term benefits. But here’s why you need to quit smoking today. First, whatever we put off until tomorrow usually never begins. Tomorrow’s diet never starts, and tomorrow’s stop smoking plan doesn’t get off the ground. You might not feel like quitting now - but feelings always follow positive actions. You might have had difficulty quitting smoking before, because you aren’t aware of what goes on the moment you light up a cigarette. Create a success plan that you can follow. Take a calendar that you can mark off the days you’ve been cigarette-free. That will help you to see progress - and having a visual can work as a way to encourage you. Stay busy and don’t put yourself into situations where the desire to smoke will be harder for you to battle. Change your routine. If you would sit back at the table after a meal and have a cigarette, then get up right after eating and go for a walk. It’s no secret that alcohol has a number of short term effects, which most obviously includes slurred speech, diminished balance, impaired judgment, heightened emotional state, dizziness, loss of coordination and slowed reactions. 10.	never, never take a drink in the morning thinking it will cure a hangover. Work on changing ONE bad habit at a time. If you try to do too much, you’ll simply become overwhelmed and discouraged. Begin the process of eliminating bad habits by starting with a “small” one – one that you consider do-able. Each time you eradicate a bad habit from your life, you’ll feel more in control of your destiny and will be able to more easily master the next bad habit. If part of your Self Development Plan includes getting rid of bad habits, know that controlling your thoughts is the quickest and best way to do it. It doesn’t matter if your habits run the gamut from smoking to laziness to being a workaholic - your every reaction to these habits can be controlled in a good way by first recognizing the origin of the habit and then find ways to turn your thoughts in another direction. You might be able to eradicate bad habits for awhile, only to find that you relapse in a moment of weakness. Don’t give up. Figure out why you relapsed so that you can prevent it from happening again. Above all, don’t become discouraged and think of yourself as a failure. Don’t slip back into the patterns that formed the habit in the first place. It takes just as much effort to develop the habit of excellence as it does to keep repeating the old bad habits. All bad habits have triggers that come before you actually engage in the habit. For example, for some people a shower might indicate that it’s time to wake up, dress and go to work while for others a nice warm shower might signal that it’s time to go to bed. One trigger makes you wide awake and the other makes you sleepy and lethargic. Whatever good and beneficial habits you’ve formed are worth reinforcing. The ones you consider bad and that you want to change must be carefully analyzed and then replaced by positive ones. Many therapists say that the best way to replace a bad habit with a good one is to pledge to abandon the bad habit for only 30 days. Be sure that your plan includes how you’re going to replace the habit with new, positive thoughts and actions – then, for 30 days do your best to be consistent. By the end of the 30 days your new habit should be stronger than the old – bad – one. Another good way to ensure the success of eliminating bad habits is to tell others about your plan of action. The more help you can get for “your side,” the more support you’ll be able to count on to see you through it. Try to maintain a good attitude while you’re going through the process of kicking bad habits. That will get you past a great deal of the frustration and obstacles that come your way. Keep positive by surrounding yourself with positive friends, do things you like to do, meditate and be forgiving of yourself while going through this time of change in your life. Develop Determination, Commitment and learn how to not give up: Even if the going gets tough, do not let yourself go astray. Most likely, the hardships you will encounter will not be the last of it. In life, you will encounter a lot of obstacles. These obstacles will slow you down, block your way and keep you from getting to your destination. Continue to Research - Who are you? There is much more to success than money and things. It is also determined by the way you feel about your life. If you are not happy, it does not matter how many 'things' you have acquired. 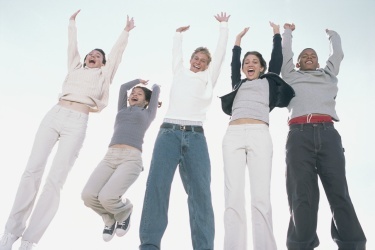 Being truly successful means that you are happy and fulfilled with your life. Begin by looking at who you are right now. To figure out who you are, think about your beliefs, values and principles. What special knowledge or skills do you possess? Think about your strengths and weaknesses, likes and dislikes. These are things that make up who you are. When you know who you are now, then you can get a clearer picture of who you want to be and what you need to change to become that person. If you have weaknesses that are holding you back, work on improving them. If you lack the personal development self help skills needed to do something, then work toward acquiring those skills. When deciding who you want to be, think about all the areas of your life. 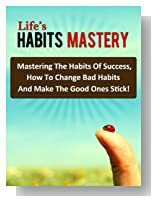 Life's Habits Mastery - Mastering The Habits Of Success, How To Change Bad Habits And Make The Good Ones Stick! 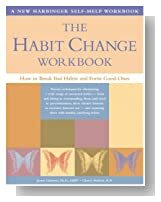 Below here I'm featuring more pages with helpful how-to-do-it tips on this subject of how to change bad habits into good ones. Back to HOME PAGE of this change bad habits section of the site.